Following yesterday's post of Rusty Rust-eze (a tribute to the late Tom Magliozzi), I thought now would be the perfect time to post about his brother and business partner, Dusty Rust-eze! In the film, these two are brothers, but were also voiced by real-life brothers, radio talk show hosts Tom and Ray Magliozzi. This is a 1:55 scale diecast re-release from Mattel. 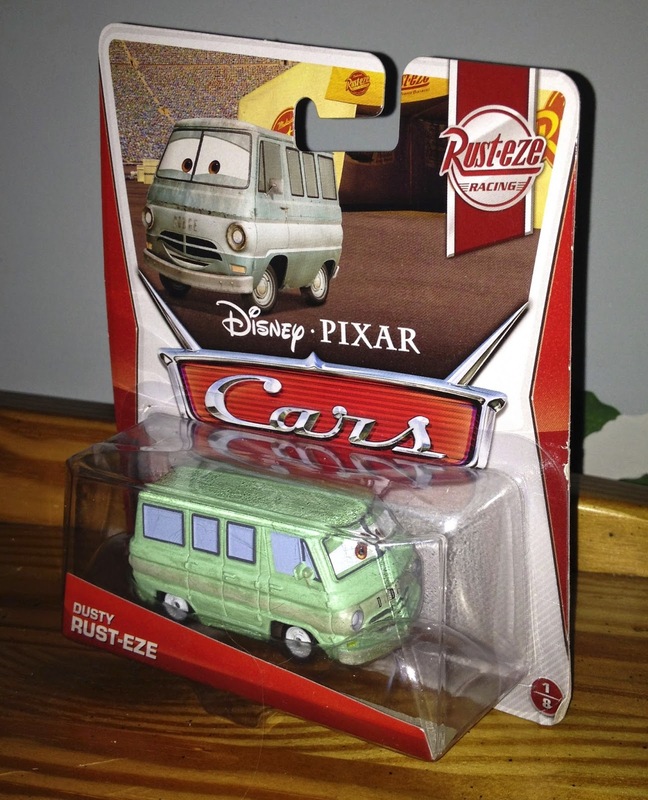 Dusty here has been released several times over the years in multiple series, but the one I have here is the 2013 re-release which was part of last year's "Rust-eze Racing" sub-line (#1/8).